Obtain your visa with Aria Dokht Tour & Travel Operator Co. Experience our fast-visa process and enjoy our creative Tailor-made, Cultural, Adventure and Classical tour packages. 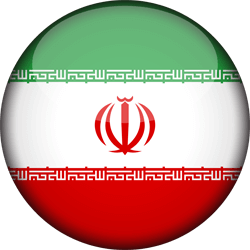 Iran visa would be authorized in order to have the visa approval code, then on the basis of the requested type of the visa, issuing process will start. 1)	Visa from referred consulate (form) Visa is intended to be regulated by Iranian ministry of foreign affairs for travelers. The authorization code will be sent to referred consulate, then you can collect the visa from there. The visa will be approved for a minimum duration of 30 days with the option of extension in Iran. The visa validity will remain for a period of 3 months from the date of issue. 2)	Visa Upon Arrival (form) Having a valid ordinary passport and Round Trip Ticket to Iran, can obtain a 30-day visa upon arrival at the Iran International Airport. (for some nationalities VOA visa is not possible). * See more details in Iran Ministry of Foreign Affairs. 2) Confirming application: an email for acknowledgment of receipt of info to double-check the submitted data will be sent to you. The fee charge for visa authorization code is 40 euro. The fee charge for visa authorization code for American, British and Canadians is 95 euro. Take notice that you must pay to the consulate for standing your passport.